Lori McCoy, Photog. 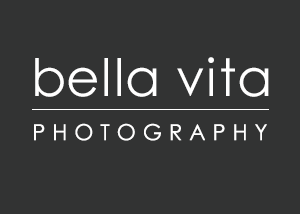 Cr., CPP, is the owner and photographer of bella vita photography. Her love of fine art cinematography is reflected in her photographic style, and she loves pushing herself creatively to make unique images for her senior clients. Lori's extensive studies have ensured that she is equipped with the talent and skills to bring out the best in her subjects, and her easy-going demeanor and sense of humor allows her to quickly develop a working relationship and put her clients at ease. Lori is an active member in Professional Photographers of America and Professional Photographers of Ohio. She is currently serving as the Vice President of Professional Photographers of Southwest Ohio and on the Board of Trustees for the Winona School of Photography. Lori is mom to three amazing young adults: Kaitrin (26), Travis (24) and Ian (21). Now an empty-nester, she sometimes misses those crazy hectic days of bottles and diapers, carpools, and Cub Scout meetings! Bella Vita Photography is located in a grand old building, that was originally built as a private residence in 1858. At 2,000 square feet, it is full of great architectural features and has original woodwork, flooring and windows. Ample parking is available on Third Street, or in the spacious parking lot located directly behind the studio. The studio is situated in the heart of the historic German Village, on the north end of downtown Hamilton, Ohio. It is just an 11-minute drive from Liberty Center, and only a 45-minute drive from downtown Cincinnati.